The change of government that took place in 2015 gave rise to much hope that the new government would solve the most intractable problem that the country faces, and resolve the ethnic conflict that has been a festering sore from the time of Independence in 1948. It is not as if sincere efforts at problem solving were not made in the past. But a notable feature of past attempts at ethnic problem solving was that they were made by one of the two major political parties, while the other remained in opposition. The lesson of history is that the party in opposition always did its best to scuttle the efforts of the party in government in order to come back to power using unleashed emotions of nationalism. The failed solutions of 1957 (Banda Chelva Pact), 1965 (Dudley-Chelva Pact), 1987 (Indo Lanka Accord), 2000 (Chandrika Constitution) and 2002 (Ceasefire Agreement) provide a dismal testament to this reality. In 2015, however, the two parties that had been instrumental in scuttling the efforts of ach other to solve the problem joined hands for the first time in a coalition government. As a result they enjoy a 2/3 majority in parliament. The victories notched up by the government at the presidential and general elections were made possible by the near unanimous support given to them by the ethnic and religious minorities. Therefore the conditions today are propitious for a political solution that has been the aspiration of governments of the past, but which were not as fortunately placed with a coalition of the two major political parties as at present. Unfortunately the early optimism is now giving way to discouragement as the government comprising the two major political parties appears to be pulling in two directions. It is not only with regard to the solution to the ethnic conflict that this phenomenon is observable, but also with regard to other issues such as economic development and investigations of financial crimes coming from the past. The most serious loss would be in regard to finding a mutually acceptable solution to the ethnic conflict, and which has a bipartisan consensus behind it that could deliver the 2/3 vote in parliament. Unlike issues of economic development, inter ethnic relations generate strong emotions within people that could suddenly turn against the government. As a part of its solution to the ethnic conflict, the government had planned to present a draft constitution to parliament at the beginning of the New Year. However, the government has been unable to even discuss the six sub-committee reports on reforms of different sections of the constitution which have been entrusted to groups of parliamentarians. There appears to be too much dissension about the reports to discuss jointly in parliament what they say. It also appears that even the members of the sub committees were not fully in the know even about the reports they were expected to have compiled but which in fact had been done by expert researchers. The main problem appears to be the inability of the two main political parties to trust their members to fall into line. One of the main fault lines of the present period is that there is more than one power centre in the national polity. There are at least three power centres. The first is the UNP which is led by Prime Minister Ranil Wickremesinghe. The second is the SLFP led by President Maithripala Sirisena. The existence of these two power centres within the government means that each can check and balance the other though at a cost in terms of time and in reversals and inconsistent decision making. This has been seen in some issues such as the appointment of a new Central Banker, on Chinese-led economic development in Hambantota and taking a position on the issue of foreign judges for war crimes courts. The third power centre is the Joint Opposition led by former President Mahinda Rajapaksa. The existence of these power centres also gives more flexibility to parliamentarians to threaten to leave their sinking ship and to seek fresh partnerships, whether personal or institutional. The position of President Sirisena is unenviable as his party members always have the option of joining the Joint Opposition where the majority of SLFP parliamentarians are now housed. With regard to constitutional change those SLFP members who are part of the government have laid down their principles of constitutional change from which they have said they will not budge. 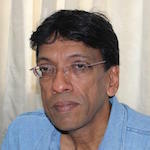 Several SLFP ministers have stated their party’s position in respect of the proposed constitutional changes to be: The SLFP will ensure that the foremost place is given to Buddhism; The unitary status of Sri Lanka will be protected; The SLFP will not support any Constitutional change that requires a referendum; There will be no change to the Executive Presidential system; There will be no merger of the Northern and Eastern Provinces; Devolution of power will only be through the fuller implementation of the 13th Amendment to the Constitution. The problem with these positions is that they are not different from what exists today. There is a need for new principles if there is to be a genuine effort to resolve the problem. The present time when the government is composed of the two major political parties in coalition, is widely regarded as the best time in which to solve the hitherto un-resolvable ethnic problem. Other issues such as electoral reform, the form of the executive presidency and economic development, important though they be, can be taken up later. All of these latter problems are matters that even a government formed by a single political party can tackle because they are not problems that generate the same amount of emotion as the solution to the ethnic conflict has the potential to generate. In resolving the ethnic conflict there is a need for the government to ensure that the three power centres that exist today become a single power centre so that cohesive decision making can take place. The main task of the present government and the purpose for which it must continue to exist is to solve the intractable ethnic conflict. The preferred way for the three power centres to become a single one would be to have mutual agreement amongst the three of them through some form of joint leadership, such as decision making by a leadership council. However, the Joint Opposition has shown no inclination to agree to work together with the government to resolve the ethnic conflict. On the contrary the Joint Opposition seems determined to whip up ethnic nationalism for their electoral advantage. This has got to be contained. The sudden movement forward in long delayed criminal and financial fraud cases suggests that the government has at last decided to throw down the gauntlet to confront those in the Joint Opposition and eliminate them as a power centre. In addition, ensuring that the three power centres are consolidated into one necessitates that any negative polarity between the President and Prime Minister should cease. They need to find a way of ensuring that future rivalries, especially in the context of the next series of national elections scheduled for 2020, do not become an obstacle to their unity of purpose today. Only then can the ethnic conflict be resolved in the near future. Political circumstances, and the fraternal ties of fighting the presidential election together, have enabled them to work together when it really matters, such as in passing the national budget. It is essential that these two leaders should work together as one. If they are of one mind, their parties will have no choice but to follow, as there will be no more multiple power centres to go to. It is quite obvious the ploy of the JO and the media that would prefer the former dispensation, is to create a split between the President and Prime Minister. This is Achilie’s heal of the present so-called national government. The President is being portrayed as the wise man, statesman, nationalist , patriot and a man sensitive to the travails of the people. The PM is portrayed as the curse on this nation. The fact that the PM has a long term vision for Sri Lanka and is grappling with decades of misrule and its aftermath is never highlighted. The Fact that the President does not have a long term vision and is mired in the imagined glories of a long gone past, despite living amidst the realities of the 21st century, is ignored. The President is also playing the fiddle to the beat set by the JO and the media, unmindful of the promises on which he rode to power and the reasons why people voted for him. He is President by a quirk/accident of history. He should ever forget this. He has been an easy target for the JO and the media. He is also interfering with governance in a foolish/ malevolent manner, with no consideration as to what this does to the credibility of this government. If this so-called national government fails to achieve what it promised , it will be fault of the President more than anyone else. He just trying to tilt at every windmill and is proving himself incapable of understanding what is unfolding. The PM too is bending over backwards to avoid a rift. I wonder how long this can last! The PM too should make sure that the corrupt from the former and present regimes are prosecuted, bureaucracy delivers and a new constitution becomes a reality. Patchwork solutions are unacceptable. We need a constitutional revolution. The validity and rationality of this idea should be sold to the people. No one can do it better than Ranil Wickremasinghe and Chandrika Bandaranaike. Let the people express their opinion at the referendum. well said, Jehan. If These 3 centres of power emerging from the south do not realise the importance of resolving the ethnic conflict,and continue to do Party politics, without due Attention to the just demands of Tamil and Muslim leaderships, then we are doomed into a dark future. Let the enlightened influential leaders of the south, help merge These power centres and leaders into a common-sense unity. It’s admirable that the writer continues to present his views vehemently in spite of no sign of fruition in the offing. In my view the parties that have been ruling the country successively since independence will have nothing to place before the Sinhala people if the ethnic problem is solved permanently, thus making it difficult for the three to become one. “It is not as if sincere efforts at problem solving were not made in the past”. I disagree with this. Those efforts have never been carried out sincerely – for the above reason mentioned both parties never wanted it to be resolved. If one goes through the speeches or the manifestos made, one can easily find this.Each one made this as a ploy to keep the respective voters in their realm. Your prescription for a single power center is contrary to conventional wisdom and our long standing clamor for devolution and democracy. Devolution and power sharing create more and more power centers.. Multi power centers with adequate checks and balances are essential for preventing dictatorial tendencies. Your medicine is a dangerous concept inimical to democracy. Democracy celebrates diversity. The concept of single power center was the strategy articulated by JRJayawardene for economic development and for effective governance. He ensured this strategy in practice by ensuring after a 6/8 parliamentary majority by depriving the civic rights of his main opponent and with unsigned resignation letters from his party parliamentarians, and managed to have one power center. Mahindra Rajapakse did not fall behind in manipulative politics,he managed to have a single power center through buying parlimentarians from the opposition at least after his war victory and election for the second term. JR during his first term and Mahinda during his second term were virtual dictators. Let us hope Mr Jegan Perera to present a coherent realistic policy for the country and guide the rulers to get over the present impasse. Abolish the 13th amendment, then politicians can not play games. In order to satisfy Indian needs, Sri lanka has creatd two closely related power centers viz, central govt and provincial govts. Politicians in these teo govts are interchangeable. Instead, abolsish the 13th amendment and devolve power to municipal councils. Then effectly one power center is gone. Otherwise, mutual agreements in politics in means instability. JEhan may write because he needs funds to make his family live. But, the practicality will not work. Tamils are getting nothing out of this except the politicians who struggle asking more. Indian needs or Lanka’s self inflicted problems? The cause and effect should not be confounded. Dr Jehan has finally taken a reality Pill.. But how can JO work with Batalanda Ranil’s faction of the UNP? Jehan has to take another Pill, because he hasn’t still got it one hundred percent. Otherwise he wouldn’t have missed the financial crimes of the present. Not even one single successful prosecution has taken place, after Batalanada Ranil’s F***** CID spent two and a half years of tax payers money, interrogating Buddhist Monks , Lactating mothers, and even Grnadmas who who had written their last will. But Dr Jehan is yet to see the great Central Bank Robbery carried out by a well qualified Diasporian with the help of hos mate the UNP PM. And the wealth amassed by Galleon from Bloemendhal and even UNP pin up boys like Senasinghes, who became Millionaires overnight by selling Yahapalana Car Permits to rich Muslims. I heard Millinnium fund will support Sri lanka. So, the source of funds will be from George Sorro and the Church instead of the govt. Probably they earn that money in Sri lanka. Remember Iran-Contra affair – Drugs for arms. Present regime: are you referring to Central Bank Bond scam? Yes. If a properly constituted and qualified Presidential Commission of inquiry finds them guilty. I hope it does not turn out to be Kangaroo Court.